In the current febrile climate over the forthcoming Brexit negotiations, knowing my history of having negotiated dozens of commercial contracts as both a buyer and seller, quite a few people have asked me what makes a successful negotiation. 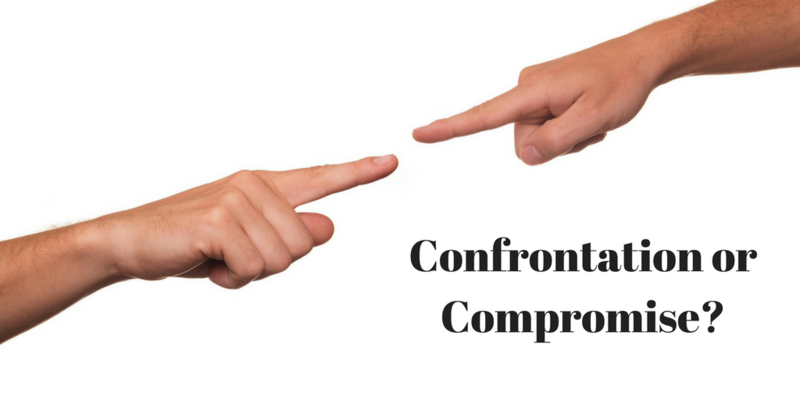 Confrontation and inflexibility hardly ever achieves a result. Negotiations aren’t a war – in fact war itself is nearly always the result of a failed negotiation. Both parties are at the table because put simply they want to agree to something. No one ever agreed as a result of being battered by the other party – grudging acceptance maybe if there’s no other choice but not agreement. That’s why a confrontational approach is a terrible mistake and runs a very high risk of achieving nothing. More than that confrontation brings the enemy of agreement into play, ego. Egos get bruised by confrontation and decisions end up being made by emotion rather than clear calm thought. My worst negotiation ever was near the height of the internet bubble. We were trying to buy a website content management package. The supplier we were talking to was selling software faster than they could shrink-wrap it. We felt they were overcharging for what was being sold. Now any sensible negotiator would have explained that the market was very buoyant and that while his management would be resistant to too big a reduction he could shave a few percent off for us. Instead the sales guy told us that he wasn’t prepared to offer any reduction and worse still said that if we didn’t give him an order within the next few days then the prices were going up, not down! We left the room genuinely offended by his arrogant and confrontational style. He’d gambled on us going for his take it or leave it offer. We didn’t. To paraphrase, he’d been a bloody difficult negotiator and for the sake of for thousand pounds, he’d lost an order worth tens of thousands…pretty inept! In fact as a result of the emotions raised by this disastrous negotiation, not only did we not buy that product, we didn’t buy any product from that company ever again, so hardly a great result. And so to Brexit. Putting out signals like ‘I’m a bloody difficult woman’ and ‘We’re prepared to walk away if we don’t get what we want’ is a poorly judged approach and it’s already clear to see that emotions and egos are ramping up in both parties before they’ve even sat down to negotiate. This approach might play well with some of the daily newspapers but is highly unlikely to pay dividends in the actual negotiations. People talk about playing your cards close to your chest and of course there is an element of this in most negotiations, but it often comes as a surprise when I tell people that the best negotiations I’ve experienced were where both sides were able to be open and honest with each other. If you think about it, this makes sense. It’s just about impossible for two parties to make an agreement unless you understand their thinking and they understand yours. One of the companies I worked for got into a dispute over a big contract with a customer. Negotiations were started to try to resolve it, however the lady in charge who would have revelled in the tag, bloody difficult woman, refused to give an inch. She refused to see the customer’s position and refused to compromise. The customer lost and had to pay up, but egos had been badly bruised after she’d made sure there had been winners and losers in the negotiation. The losers set out for revenge and threatened to sue over another smaller contract and won. And worst of all, at the end of all of this they told us they’d never deal with us again. So when the UK and EU negotiators meet, an honest discussion about the pressures on each and what they both feel they need to achieve would go a long way to helping everyone find agreements and compromises. I’m not overly optimistic, but let’s hope this can happen. Anyone can agree simple stuff, but if you set tough targets then you’ve a much better chance of achieving more. So I would recommend that both sides set ambitious, but realistic aims for what they want to achieve and get these on the table as soon as possible. Of course politicians are desperate to be seen as successful, so there’s a strong temptation to set easy to achieve targets and hit them than set difficult targets and risk failure. A really strong negotiator would say that everything remains on the table at the start of the negotiations and not abandon ambitious targets like staying in the single market or customs union before they’ve even sat down to negotiate. It’s surprising how often apparently intractable positions end up being resolved. It happens all of the time in commercial deals. Sometimes both parties do walk away, but not often and usually they walk away with a handshake and a joint expression of sorrow and regret. There have been suggestions from some politicians and newspapers that we bang the table and walk away if we don’t get what we want. Most negotiators would find that a ludicrous notion. Walking away is failure, not success. It’s very popular to talk about winning concessions, but there are hardly ever free wins. To win something, you need to be prepared to give something in return, hence the expression win-win. There seems to be a fatalistic view that the red lines for instance around immigration vs freedom of movement are intractable. Theresa May seems to have already decided that by saying we will be leaving the single market. This is indeed a very odd approach to take before even having sat down to negotiate. With goodwill and persistence on both sides, it is remarkable how red lines become breachable and an agreement reached that both parties can live with. If you don’t believe this then look at the history of the Cuban Missile Crisis, where the very future of the world was at stake. This was very much portrayed in the media as Kennedy standing up to and winning against the Russians but it was in fact a classic give and take. With the whole world holding its breath and nuclear war looking inevitable, both parties reached out and found a compromise. The Russians took their missiles away from Cuba and in return the Americans took theirs away from Italy and Turkey. If the Russians and Americans could save the world with a bit of give and take, surely we can find a good Brexit deal with the same approach!